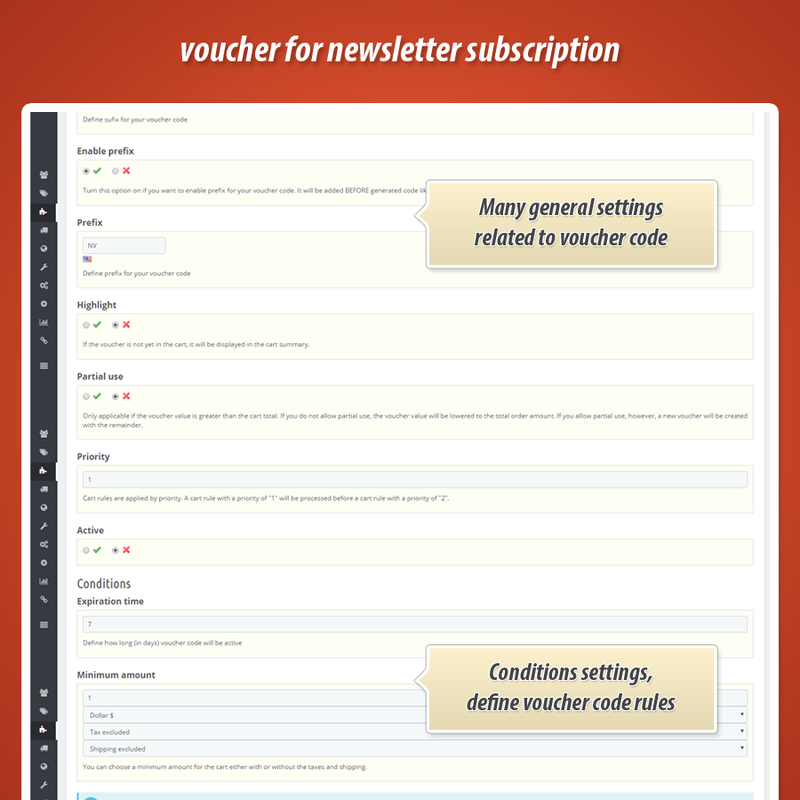 This module for PrestaShop generates dedicated voucher codes for newsletter subscription. 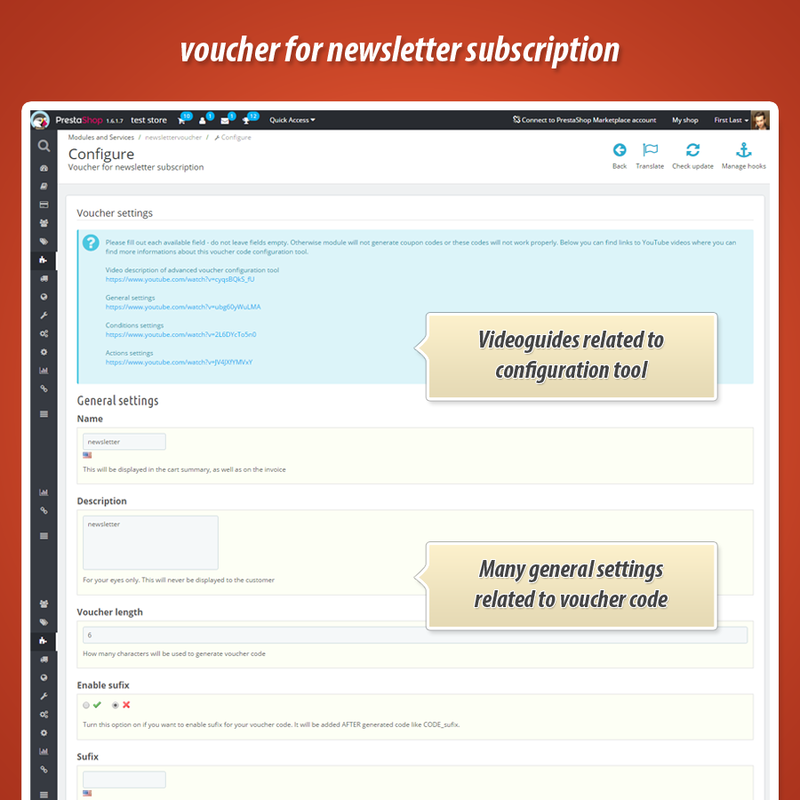 Module works with standard newsletter subscrition module that is available in PrestaShop by default. Each code generated with this plugin is unique and customer get it via email. 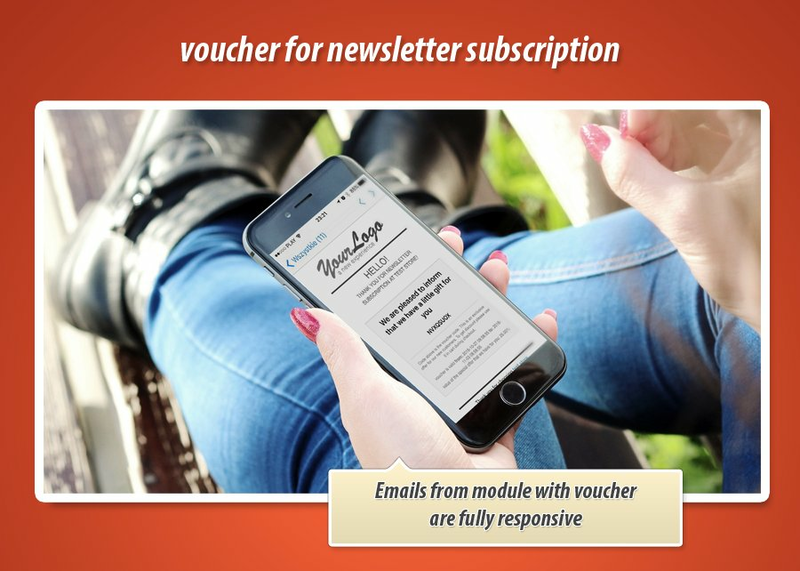 As you already know this is marketing and advertising module for your store based on PrestaShop engine and it generates unique voucher codes for newsletter subscription. 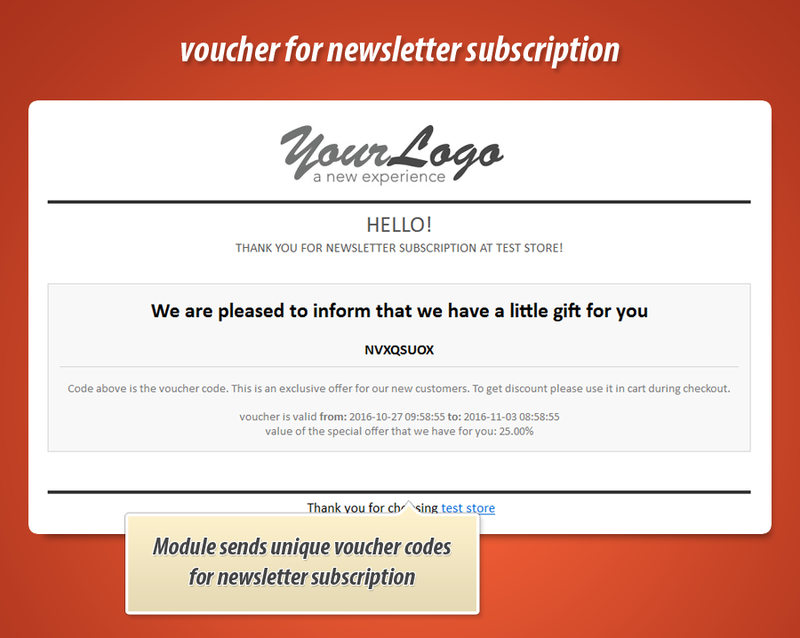 This addon works with default newsletter subscription block module that is available in prestashop for free (module is available with each prestashop installation). 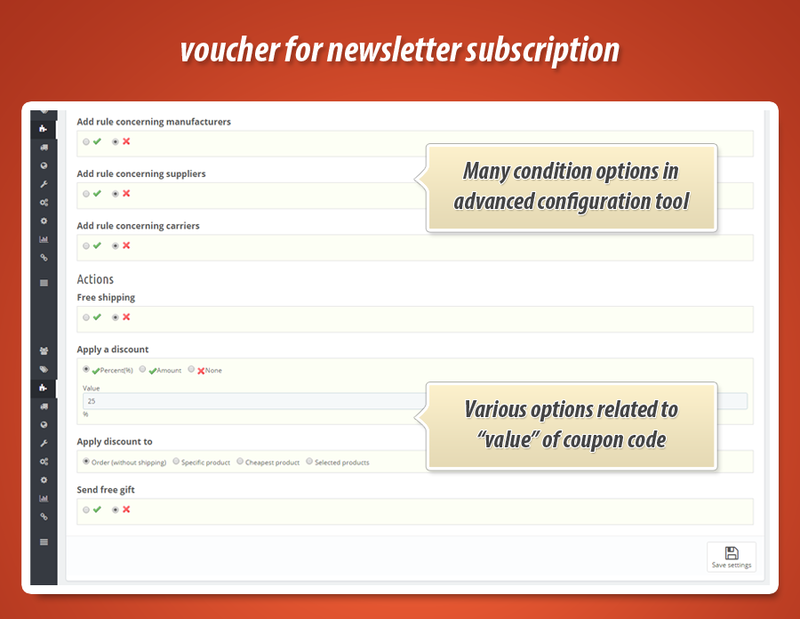 Main and the most important feature avalable in this plugin is possiblity to generate unique voucher codes for newsletter subscription. 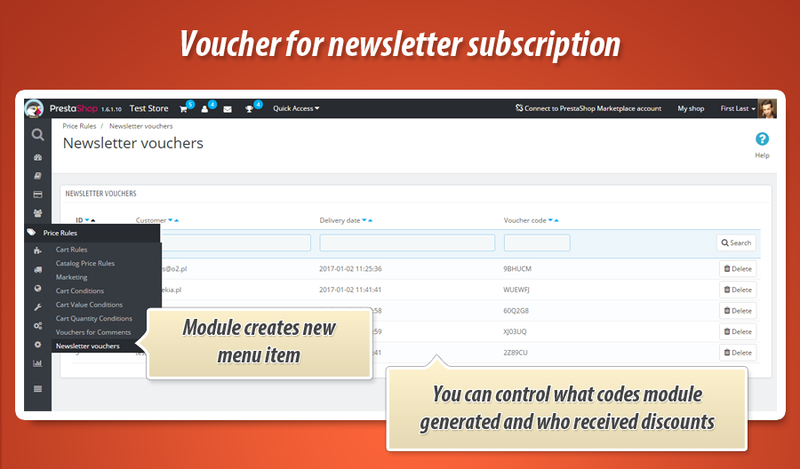 With module you can control voucher code value (and other settings) that module will send to customer. 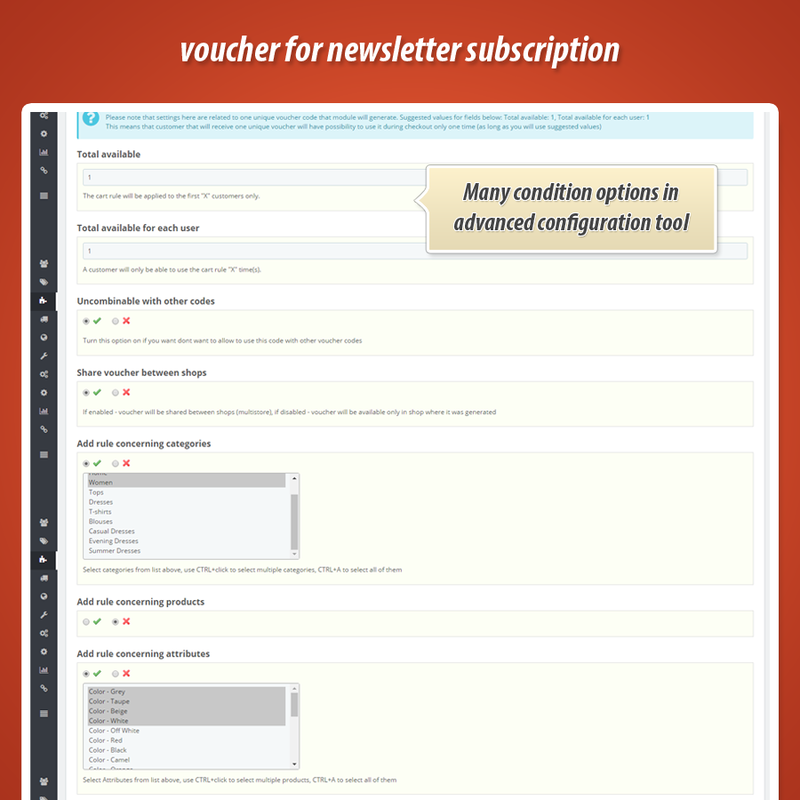 Below you can find detailed informations about available settings related to coupon codes. You can define voucher code "priority" option, A cart rule with priority of "1" will be processed before a cart rule with a priority of "2"
You can define how long voucher code will be active. You can define this option in days. You can define minimum cart value, for which voucher code will be active. You can apply discount to selected products in "conditions" section. - now you can define conditions related to products, categories, suppliers etc.